About 1780 results for "door county brewing"
Door County is rapidly joining the ranks of the Midwest's brewing destinations, but its brewing heritage has deeper roots. Our mission is to create beers that lead to a gathering of community and friends wherever you are. We promise to create only the best tasting, thought provoking, carefully sourced, eco conscious beers that are constantly pushing the edge of imagination and senses. What you will find in our beers is music, food, friends, family, travel, trees, soils and flowers—not just ingredients. Visit our Brewery and Tap Room next time youre in Door County. However you want to test yourself in 2018, we have your reason to ride and run Door County events. Here in Door County we make the most of every season. There are unique activities and experiences for each time of year that make this place so special and autumn is especially festive with fun opportunities for everyone. Wisconsin winters aren’t always the most welcoming but they do offer the perfect opportunity to slow down, curl up and get cozy indoors. Here are the top 8 ways to get cozy in Door County this winter. Cozy taverns, hockey on the pond, or candle-lit skiing, find out what locals love about winter here in the new Our Door County video. There is no shortage of lovely hotels and inns to choose from when deciding where to stay in Door County. 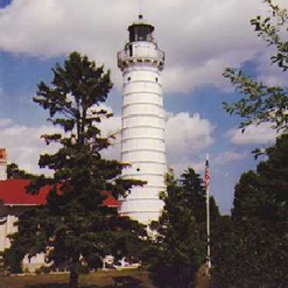 But, if you are seeking something that leads you off the beaten path, Door County has those options to offer you as well. Door County offers a tranquil, rejuvenating sense of renewal each spring. Sign up for your chance to win a free getaway today! 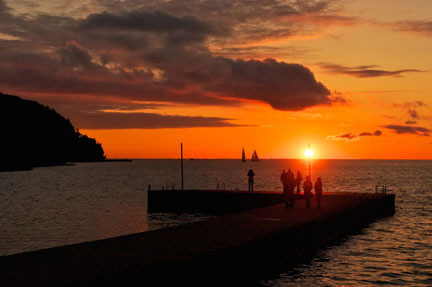 Door County offers sun-filled days and fun-filled nights all summer long. Sign up for your chance to win a free getaway today! There’s something for everyone shopping in Door County. Check out the eclectic boutiques and local shops in each community. 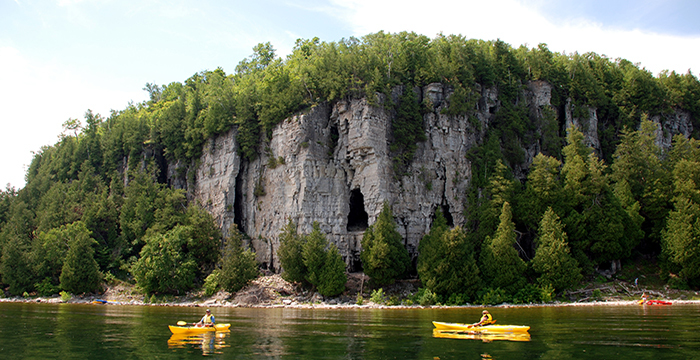 In a place home to beauty at every turn, nothing beats these 9 natural wonders of Door County. Give the gift of DOOR COUNTY this holiday season, with a gift basket from DOOR COUNTY PANTRY! Door County's brilliant fall colors, cozy accommodations and autumn-inspired menus are just a few of the reasons to visit this season. Sign up for your chance to win a free getaway today! Door County is coming back to life, with a summer festival season and a full calendar of opportunities to hang with friends and family, enjoy the outdoors, and indulge in the flavors of Door County. Located right downstairs from Sonnys Pizzeria in Sturgeon Bay, Bridge Up Brewing is creating quality craft beer, in small batches. Brewing for the people" of Door County - whether you call DC home or are here for a visit. Localization guides everything at Bridge Up Brewing and we take pride in sourcing local ingredients made and created right here in Door County. A little new, a little old. Organic with an industrial feel and TONS of creativity. Be sure to visit today. Enjoy our beer and a slice (or two) of wood fired pizza. We hope to see you soon. "Bottoms up when the bridge is up"
There's a lot of history to discover in Door County. See some of the best sites in this 72-hour Door County historical tour.